Small wireless players will get a helping hand from the government when it comes to the highly-anticipated upcoming 600MHz spectrum auction. The Minister of Innovation, Science and Economic Development (ISED) has announced today that the government will be setting aside 43 percent of spectrum (a total of 30MHz) for regional wireless operators and potential new entrants in the upcoming 600MHz auction. The Minister also announced that the auction is scheduled to take place in March 2019. 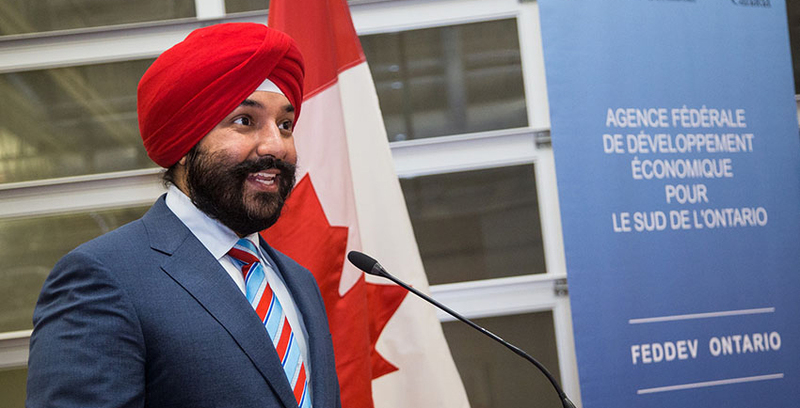 “Competition is a key driver of innovative and affordable telecommunications services,” said Bains in a statement to the press. The set aside spectrum will allow smaller players like Shaw’s Freedom Mobile and Quebecor’s Videotron to compete for spectrum without having to go up against national incumbents Bell, Telus and Rogers. The language of Bains’ announcement could be taken as slightly pointed following the CRTC’s recent decision to hold fast to its stance on wholesale wireless roaming. Bains ordered the CRTC to reconsider its position on Wi-Fi as a home network in the interest of potentially opening up a wireless reselling market that might provide Canadians with lower wireless rates. The CRTC, however, decided to stick to its ‘facilities-based’ position, which favours companies that invest in infrastructure and spectrum. 600MHz is widely considered a desirable frequency for its ability to carry signals over long distances and penetrate buildings. Shaw has made clear its interest in the spectrum to the government, and previously advocated that the 30MHz allotment be bumped up to 40MHz. Canada’s Big Three carriers, however, came out against setting aside spectrum for new competitors like Shaw and Videotron. “Two of the largest cable companies in Canada shouldn’t be subsidized by taxpayers,” Bell CEO George Cope told investors at the September 2017 BMO Capital Markets telecom conference, referring to the parent companies of Freedom Mobile and Quebec-regional carrier Videotron. The ISED’s auction framework states that those eligible for set-aside are active facilities-based providers that have less than 10 percent of the national wireless subscriber market share — a group that includes Videotron, Freedom Mobile, Eastlink and SaskTel.